Read below for Continuing Education opportunities, networking events, public policy and advocacy updates, employment opportunities, and more! Check our Chapter Calendar often. Your membership is needed now more than ever, your membership helps us advocate for social workers while you advocate for your clients. NOT A MEMBER? BECOME ONE TODAY! Follow us on Facebook,Twitter, and Instagram for up to date action. As President of National Association of Social Workers – Arizona Chapter, I have the honor this month to congratulate all graduates and new Social Workers to our Profession. 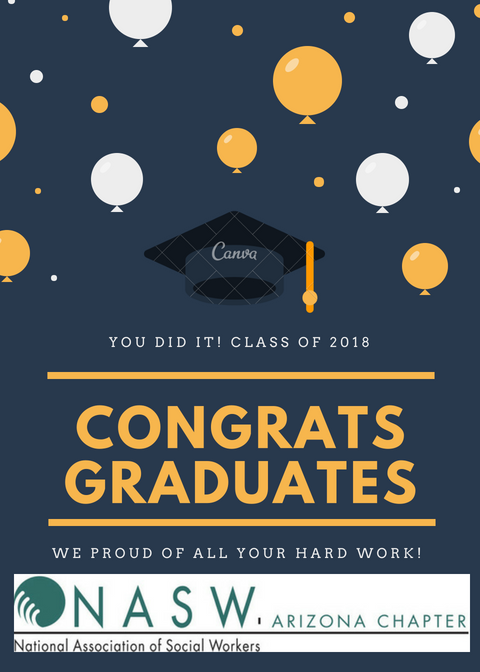 You have completed your course work, gained knowledge in your practicums, and have crossed the stage, obtaining your Social Work degree. Some students will continue to obtain a higher degree while others will now enter our workforce. As a Social Worker, I still remember graduating with my BSW and finally my MSW from New Mexico Highlands University. I remember the honor that came with it and all the great achievements I have had since graduating. I have lifelong colleagues and friends that I met in school who are still there today to provide support and mentorship when needed. To all the Professional Social Workers and fellow colleagues: let's welcome our new graduates and our new social workers into the field. Be supportive as you teach and assist the needs of our clients and all those we serve. On behalf of the NASWAZ Board of Directors, I would like to thank and congratulate our BSW Student Representative Carlos Ramos and MSW Student Representative Frank Duran. Also, congratulations to our MSW PAC Interns Ashley Woodard and Ken Garcia. Thank you for everything you have done for our Chapter and best of luck on your future. 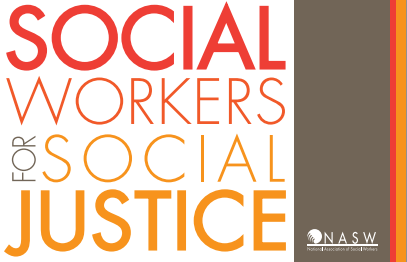 If you are not a member of National Association of Social Workers, let me encourage you to become a member. NASW provides so many benefits for its members both at the National and State levels. NASW is our voice when it comes to ongoing social issues we face every day. NASW provides a great rate to graduates. Again, congratulations to all our new Social Workers. The Chapter Committee on Nominations and Leadership Identification (CCNLI) is finalizing our slate of candidates to serve on the NASWAZ Board of Directors. Once candidates are slated, there will be an election in June. New board members will be seated on July 1, 2018. A special newsletter will be released soon with the candidates. Stay tuned for updates. Clinical social workers are being denied the Board-Certified Behavior Analyst (BCBA) credential restricting their work in applied behavior analysis (ABA). Members have requested NASW to provide them with assistance in reversing the denial. 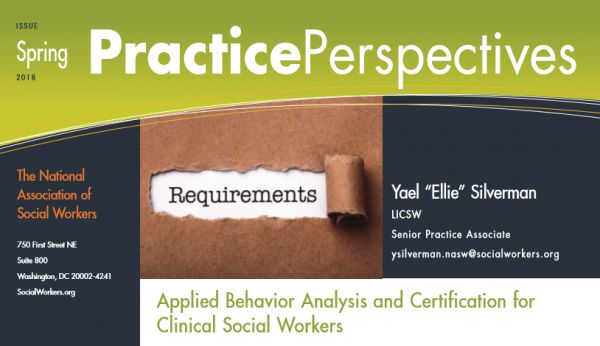 The purpose of this practice perspective is to outline the requirements of the Behavior Analysis Certification Board (BACB) to obtain the BCBA credential and its impact on clinical social workers.Click the image for more information. 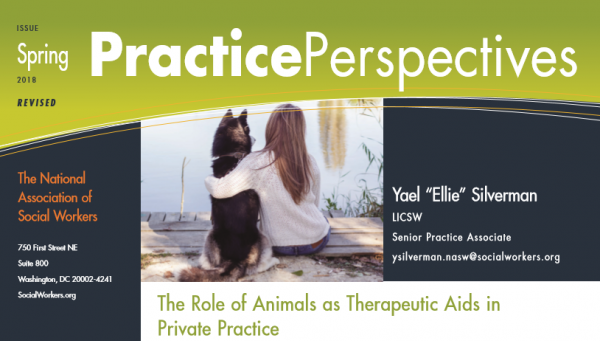 NASW has received phone calls and e-mails from members with questions regarding the use of animals as a therapeutic tool. There are four categories of animals used in a helping capacity: (1) service animals, (2) emotional support animals (ESAs), (3) comfort dogs, and (4) animal-assisted therapy. Clinical social workers’ roles and responsibilities vary in each category. The purpose of this practice perspective is to define each category and identify the roles of clinical social workers.Click the image for more information. Senior citizen centers are instituting programs to curb high school-type bullying incidents ranging from cafeteria shunning to fistfights. "It's like 'Mean Girls,' but everyone is 80," said Betsy Gran, a former assistant senior center director. Click on the image above for article. Click the titles below for more information and to register for each workshop. NOTE: To secure member pricing, sign into the website and register online. Watch for more opportunities to earn CEUs! Click on the links below for times, locations, online registration and more information. Please click the links to register to let us know if you plan on attending, and we'll keep an eye out for you! Please take a moment to note the changes in dates and locations below! Please register to let us know you'll join us at one of our networking meetings! Flagstaff Social Hour: First Wednesday: Flagstaff social workers will host a social hour meeting at The Annex at 5:15 PM. Join us for a night filled with laughter, conversation, and identifying our professional goals and expectations for 2018! 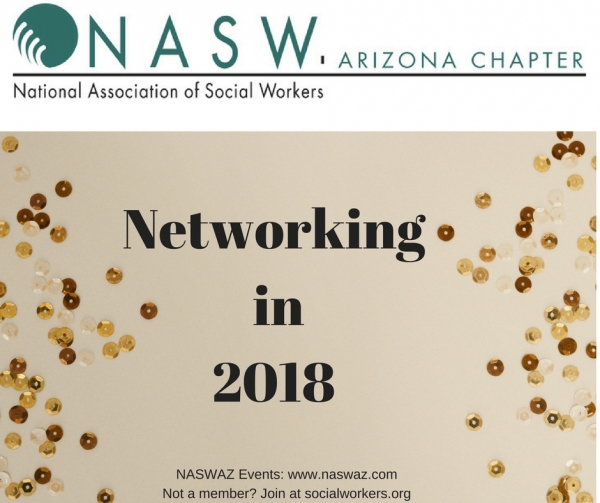 PrescottNetworking: Second Wednesday: Social workers, social work faculty & social work students: Our next NASWAZ Branch 4 Networking Meeting will be 4:30 - 6:30 pm at Guacamayas (formerly Plaza Bonita), 1317 E Gurley Street (at the Best Western), Prescott, AZ 86301. Please join us for networking and more. Come hungry and thirsty as we partake in some very invigorating information. Space is unlimited but please let us know if you will able to join us. Thank you and hope to see you there. 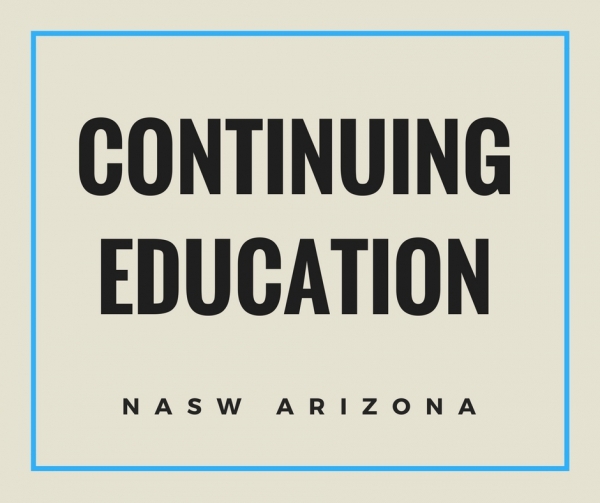 Phoenix Networking: Third Thursday (1 CEU): Join NASWAZ Branch 1 for a networking and an educational meeting at Coco's Bakery Restaurant in Phoenix 1 CEU offered at most events for 2018. Register to let us know you'll attend and we'll save you a seat! Sierra VistaNetworking: Fourth Thursday (1 CEU): Sierra Vista Network Brown Bag Lunch Meetings occur the fourth Thursday of each Month. Mark your calendars in 2018 when we start up again! 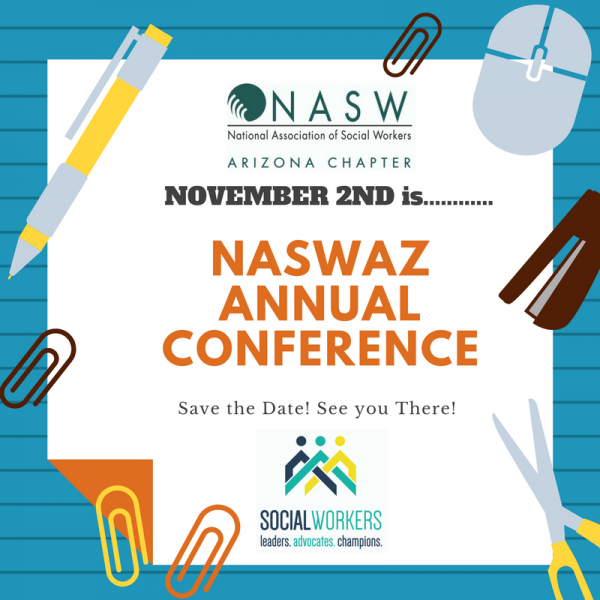 The NASWAZ Social Work Conference is a formal meeting of people with a shared interest, typically takes place at a convention center or a summit. Attendees go to our annual Conference to be learn new information, network, and engage with professional colleagues. The Conference focus is to learn new skills and knowledge in the profession. 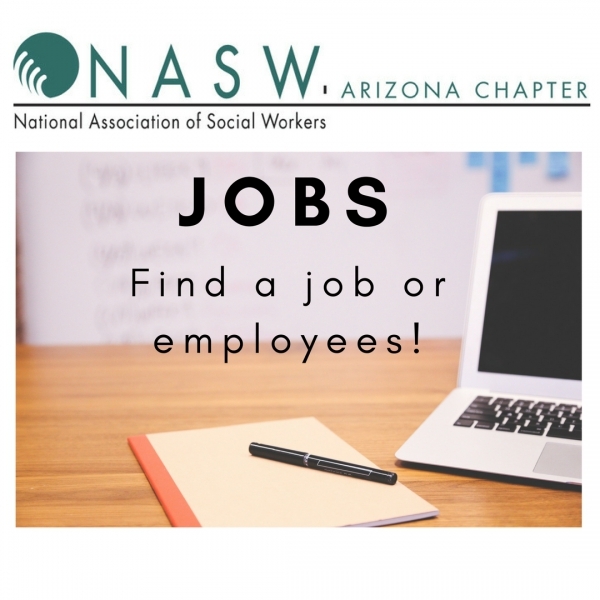 NASWAZ requests applications from workshop presenters interested in offering 1.5 - hour presentations covering a broad range of topics related to clinical and non-clinical practice issues for Arizona social workers. This year's theme will be "Social Workers. Leaders. Advocates. Champions.," with a focus on populations in Arizona. NASWAZ will collect presentation submissions through July 15, 2018. Our Conference Planning Committee will review the submissions and notify workshop presenters within 2-weeks after the deadline. Click HERE to apply. NOT A MEMBER? 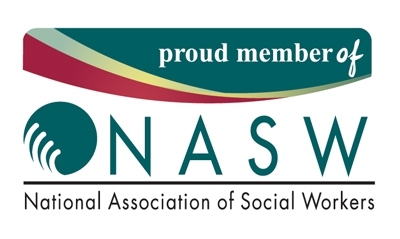 CLICK TO JOIN NASW TODAY! Installment Payments Now Available for NASW Renewals! The NASWAZ Public Policy Committee planned "Social Work Day at the Legislature" series of events this Spring (January and February). The schedule and dates were created to help professionals and students attend. Dates and details are below! NASWAZ Public Policy Call: Legislative Wrap Up Call on May 21st! The NASWAZ Public Policy committee tracks and advocates for legislation that impacts our work as social workers. You can get involved in many ways—sign up for action alerts, write your elected officials, join us at the NASWAZ Social Work Day at the Legislature, and provide your thoughts through our monthly conference calls. Join us Monday, May 21st, 2018 for our legislative wrap up call. Want more information? 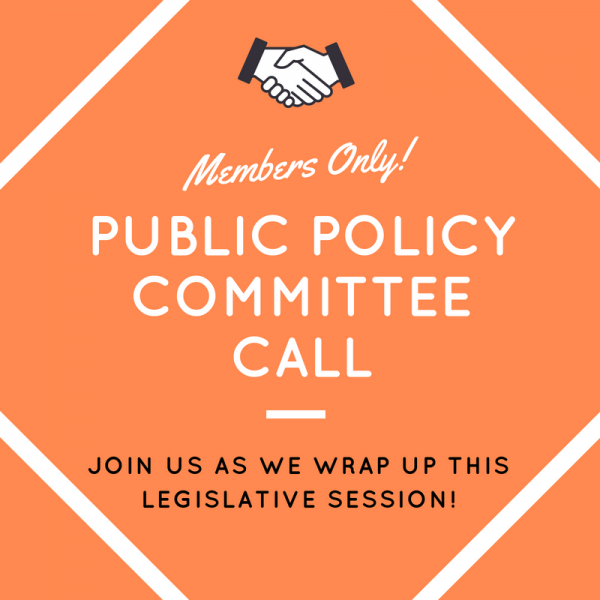 Contact Jeremy and he will connect you with the Public Policy Committee co-chairs for additional information. Register here to participate. You will then receive the call-in information via email and calendar invite. EMPLOYERS: Post Jobs for Free with NASWAZ! Searching nationwide: Employers can widen their search by posting with our national office. Go to our new address at https://www.socialworkers.org/Careers/Career-Center. The new Social Work Career Center is a career website where social workers can search national job listings and find professional development and career resources that span across the duration of a social worker's professional career. Attention social workers and social service staff that work in long term care: You are invited to participate in a long-term care social work task force monthly conference call on the 2nd Thursday every month at 12:30 PM. The Arizona Long Term Care Social Work Task Force is offering a FREE monthly conference call for all social workers and social service staff. Relevant and challenging issues are discussed in an interactive, round table-style forum with other social work peers. The conference call is held the second Thursday of every month and is facilitated by a member of the Social Work Task Force. Participants can ask questions, present cases or just listen in on the discussion. This is a wonderful learning and networking opportunity to ask those tough questions about issues in the nursing home as well as share ideas and resources with each other. RSVP to attend the call the second Thursday of each month and find out more information here. Anita Avedian, LMFT, will be facilitating a 3-day live Anger Management Certification training in Phoenix, Arizona. The training will take place September 21st -23rd ,2018. The early bird price of the training is $1,000, but if you register with 3 colleagues or more, you will get a $75.00 discount! Ethics consultation telephone calls are answered on a first come first served basis and are not pre-scheduled. If you call during consultation hours and receive a voice-mail response, we request your patience as we complete earlier member calls. Please leave a brief message clearly stating your name and contact number and we will return your call. Due to the high call volume, we ask that you allow 24 hours for a return call. Offered by multiple state Chapters of NASW. This Online CE Institute has high quality programs available on demand with well-known names in the field of social work and behavioral health. Feel free to browse our store before purchasing. Member and non-member fees will apply accordingly. PASSWORD PROCEDURE for NASW Members: Your username and password for www.naswaz.com is now matched to the username and password that you use to access the national NASW website at www.socialworkers.org. If you have problems logging into the Chapter website at www.naswaz.com, click on "forgot password," and you will be redirected to www.socialworkers.org to update your information.You will need to wait about 24 hours for the national website to update the Chapter on the change.If you are seeking to login to secure a member discount, contact the Chapter office directly and we will make certain the member discount is properly applied. This email has been sent to[[EMAIL_TO]],click here to unsubscribe.